I did it. 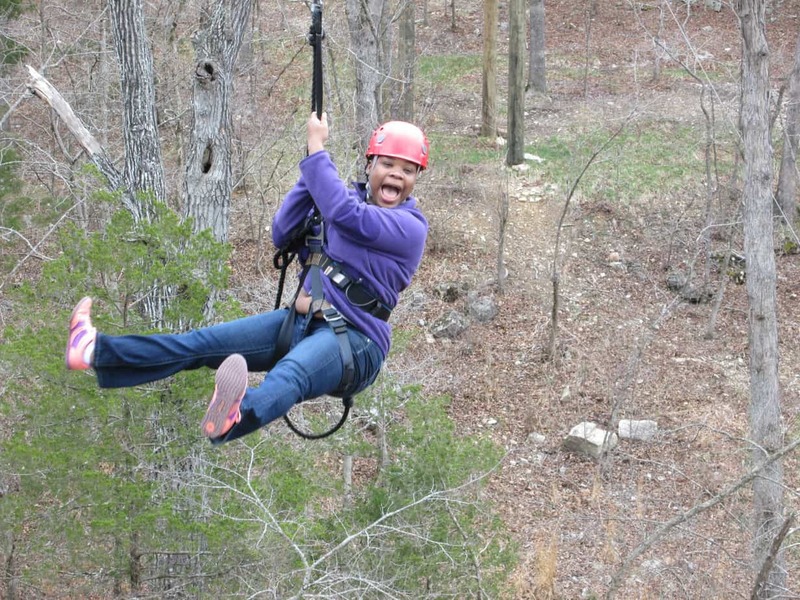 I went to Branson Zipline and Canopy Tours and I rocked it out! If I do say so myself. Okay, let’s just admit some things right off the bat. I’m afraid of heights, I’m even more afraid of heights when I feel things moving underneath my feet, I’m highly competitive. Those three things will mean something to you by the time you’re finished reading this post. 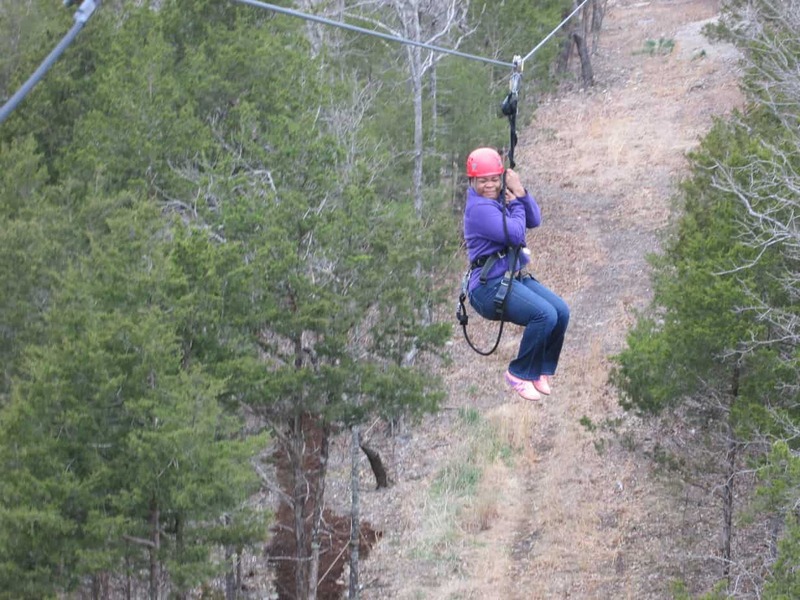 According to our itinerary, Mr. Houseful and I were to meet at Branson Zipline by 8:30 so we could have our orientation and get into our equipment. All of the guides came back to chat with us while we were being given our instructions. We are pictured here with red hats because of the particular tour we were on. 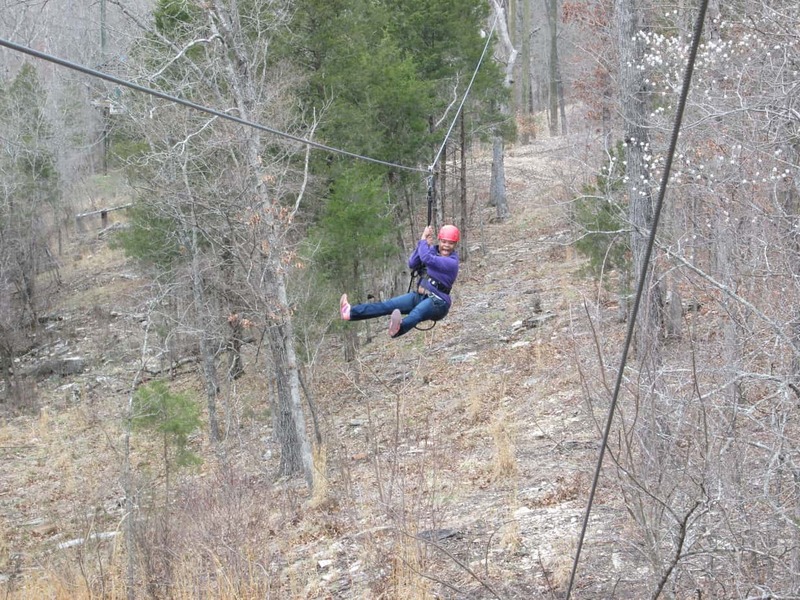 It was a 7 zip line course,called the Ozarks Xplorer Canopy Tour, and included 10 suspension bridges. 10. 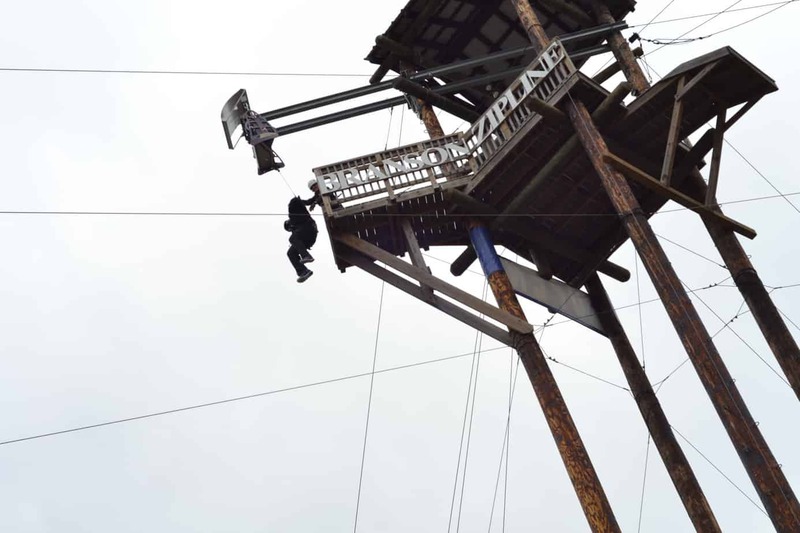 Hindsight always makes me feel a bit silly for being so afraid of heights, and the competitor in me wants to go back on this same course with the same guides and group, because that’s how much fun I had. One of the neat things about the tour is the history lesson that you get with it as well. Our guide Tawny was responsible for telling us about each tower, and the reason it was named the way that it was. 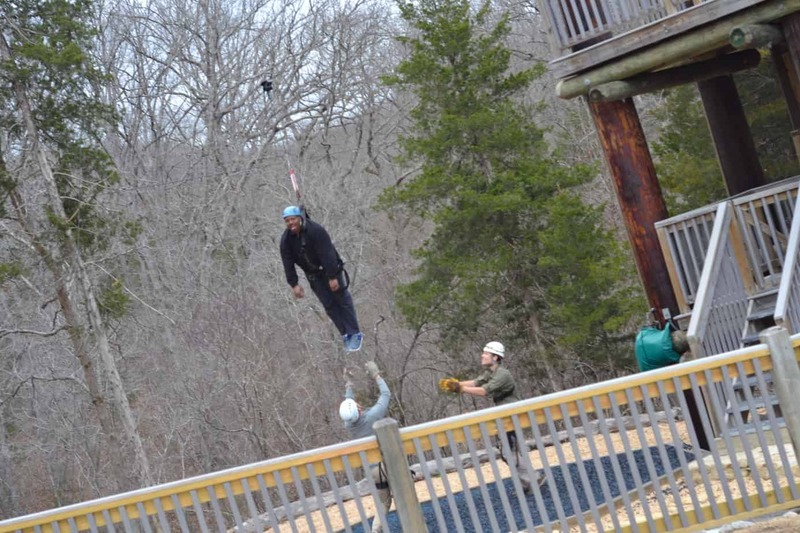 I loved each one except for the Crow’s Nest, and it wasn’t even the highest point in the zipline tour. How ’bout them apples? Our guides, Steven and Tawny, were very truthful about what was to be expected, let us know what the longest zips were, and which tower was the highest. I know that everyone doesn’t appreciate that, but I certainly did. They were able to tune in to each persons excitement or fear level and work from there. 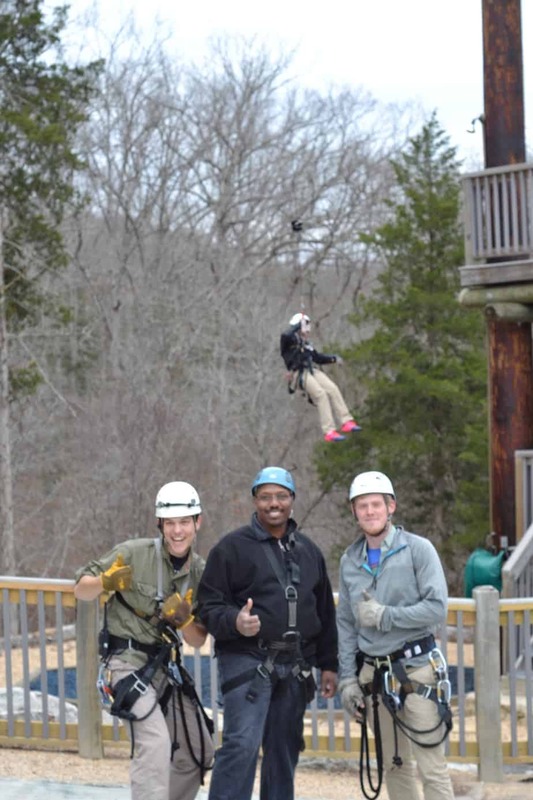 I was given permission to even grab on to their tethers when I was being strapped in or taken off of a zip line. I took full advantage of it too. Photos are taken by the first guide who zips first to be able to catch you coming in, and my first couple of times from post to post are quite telling of my feelings. I’m sure that it would have been extremely easy to laugh at me as pictured above. However, no one did, and that created an atmosphere that I was comfortable in, and wanted to continue with. Even with saying that I was going to quit after the first three zips because the option was there. One pep talk from Mr. Houseful and the group that we were with, and I was on my way to finish the last four. The hilarious thing is the fact that the fourth tower was the highest, and it didn’t bother me nearly as much as the first one. How’s that for hilariousness?! I even warmed up…a lot. Notice the legs sticking straight out instead of me being curled into the fetal position. Maybe I’ll even learn to let go. Mr. Houseful the daredevil that he is grabbed the bull by its horns and did each line with full gusto! It was so much fun being with my best buddy while doing this. I’m not sure that I could have let someone else talk me into it. I know that looking back on these photos will always bring smiles to my face in general. Now, to talk about safety. 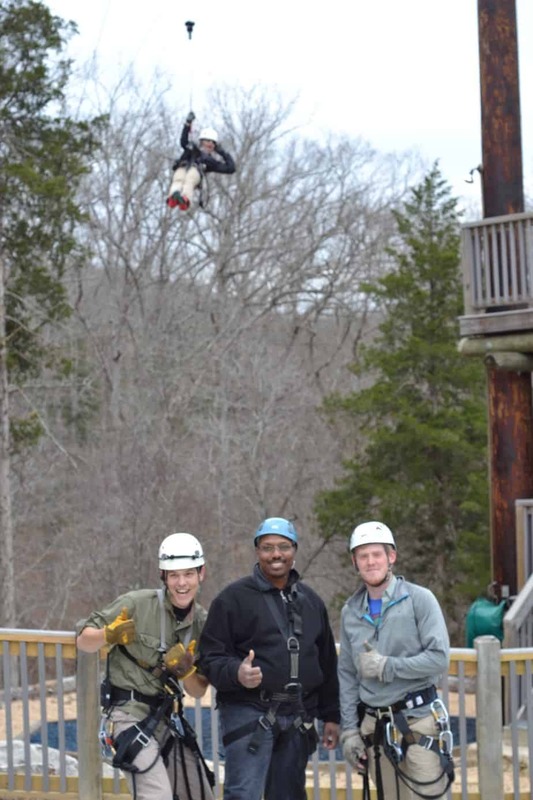 The course was as safe as I think a zipline course could be. 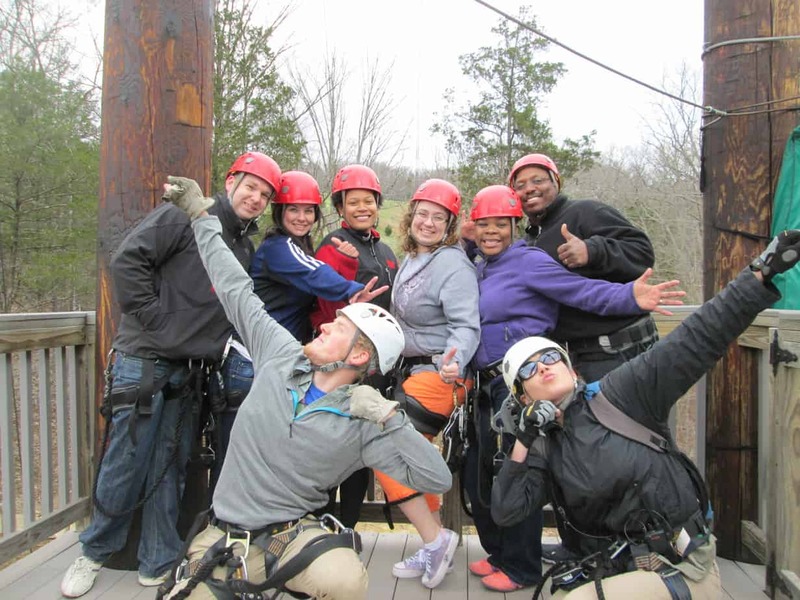 The lines are able to support a couple of tons (and I know this because I made a joke of weighing one more pound than the supported weight to try to get out of going) and all guides have been thoroughly trained. 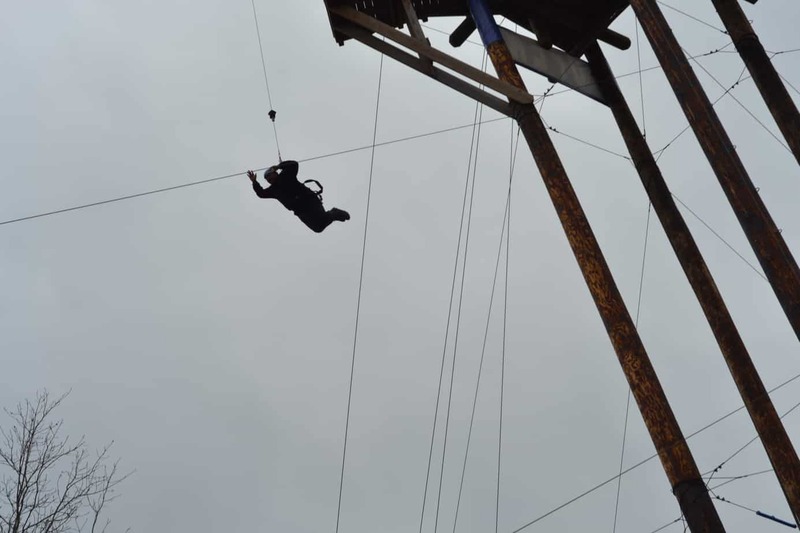 They all have had to do each line in whatever way that it’s offered, including jumping off of the 102 ft. free fall tower. By everyone, I even mean the manager too. 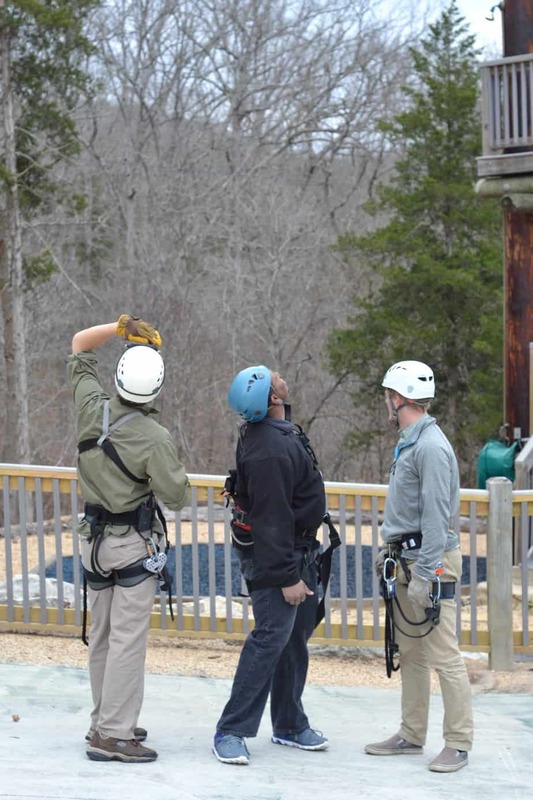 Harnesses are checked and double checked, and you are NEVER not tethered to a line while you are in the air. That also eased my fright a bit. Plus, I mean, when your guides have this much fun with taking photos with you, you HAVE to ease up a bit. 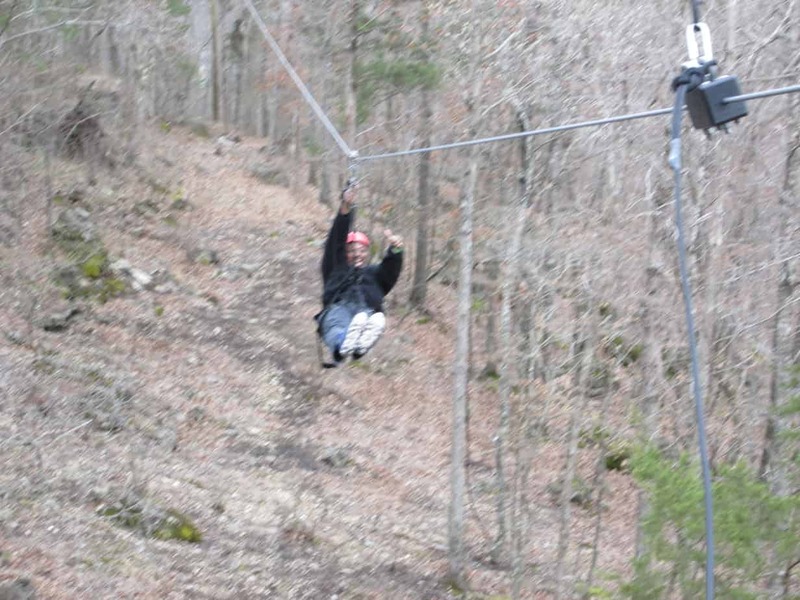 By the time half of the course was over, we were falling off of towers sideways or backwards, and loving it. 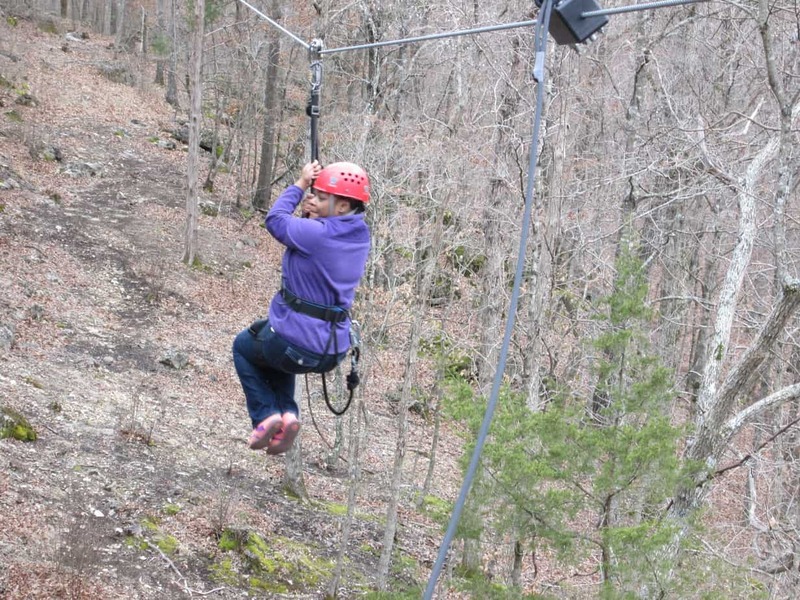 I didn’t even mind that I swung from side to side while zipping, and opened my eyes to marvel at the forest below my feet. 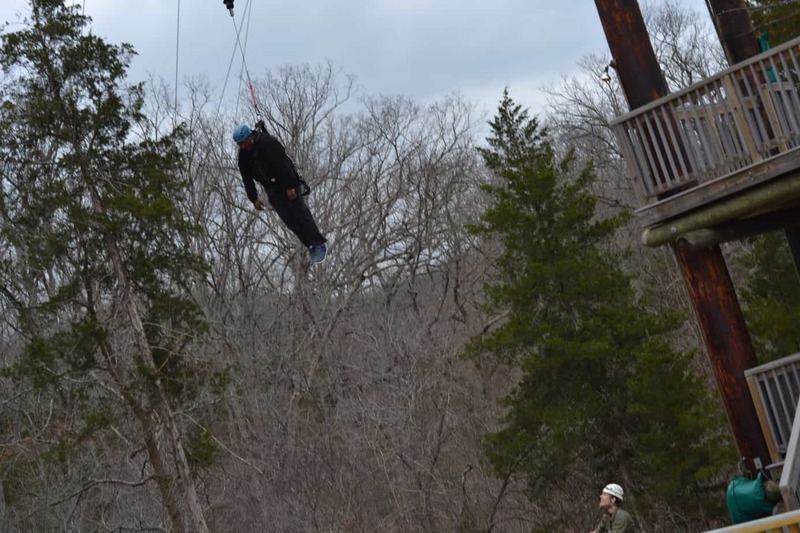 A few brave souls went on the Blue Streak which is nearly a quarter-mile zip course, and the only way they were able to get down was to step off of a platform 102 ft. in the air. It was breathtaking to see from the ground, and yes I know my limits so I kept my feet planted firmly on soil. Here’s the progression of Mr. Houseful’s step off of that tower. Please pay attention to his body language, as it’s the most important in this lesson. 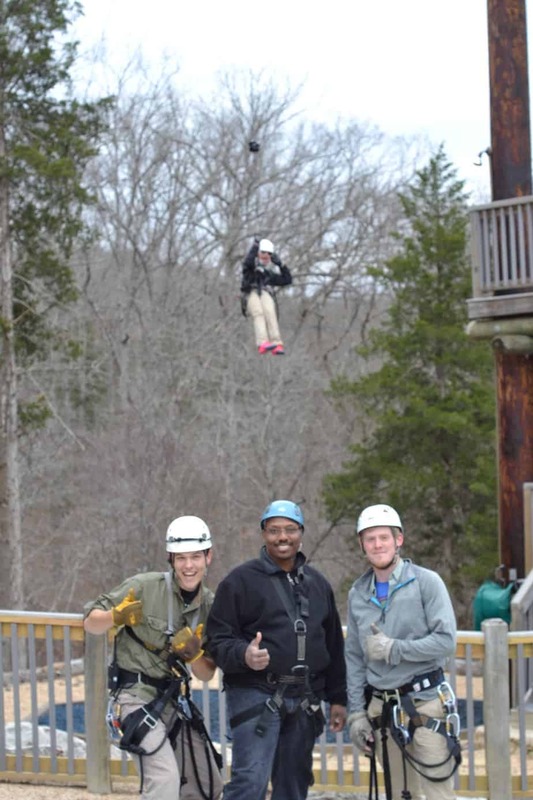 With Branson Zipline, you can experience just what Mr. Houseful and I did, and you should dress accordingly. Closed toe shoes, appropriate clothing, and your hair pulled back. You should also allot quite a bit of time as you will be waiting for a large group to complete the zips, and if any of those folk are anything like me, it may take a bit of time to get them off of the posts, but after that, they’ll be great! 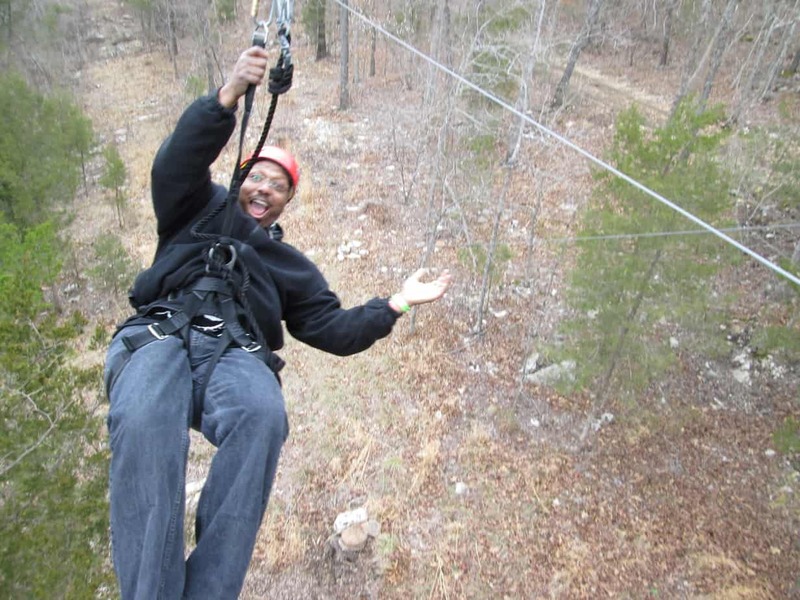 You can also visit Branson Zipline after dark, and do the same run that we did, just in the moonlight, or not. I’m intrigued by that actually. 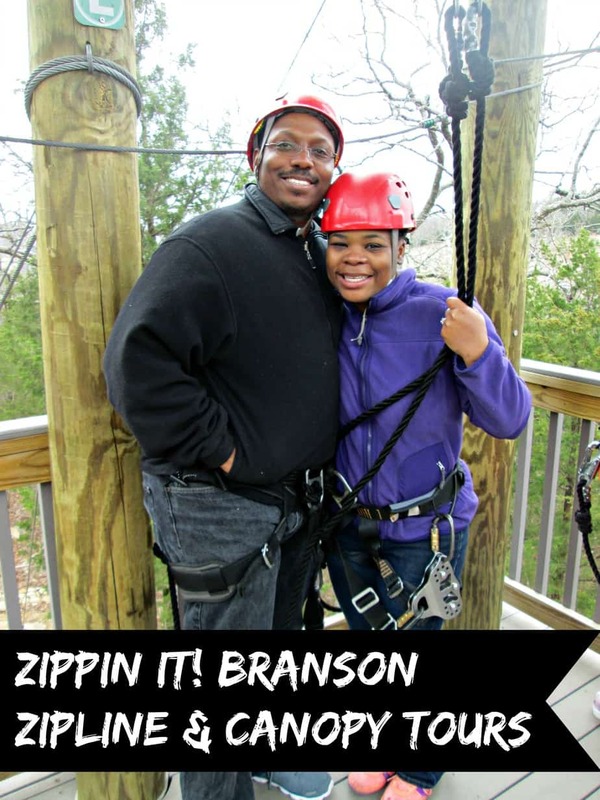 Just make sure you stop by Branson Zipline on your first or next trip down to Branson, Missouri, and tell them that Mr. & Mrs. Houseful sent you! 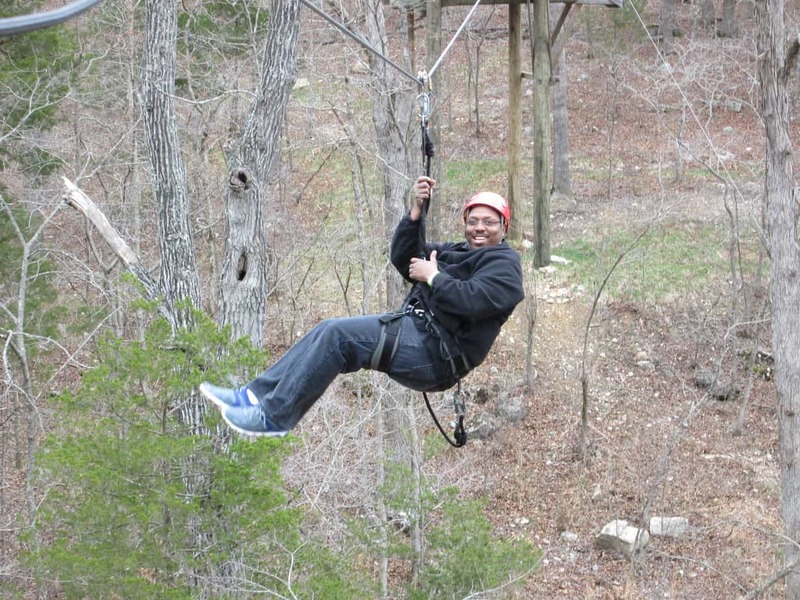 Disclosure: I received complimentary tickets to check out Branson Zipline, but all thoughts and opinions are mine. The fear was all mine as well. This was so much fun!! 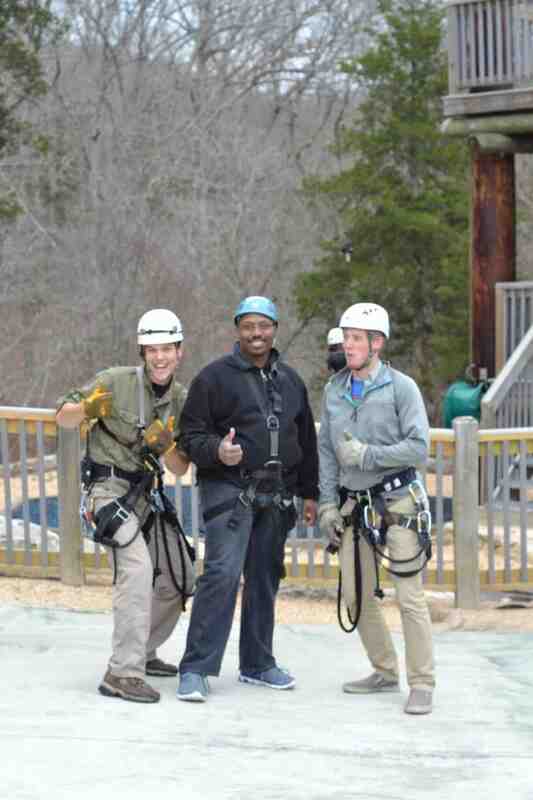 I had a great time getting to know you all and of course zippin!! 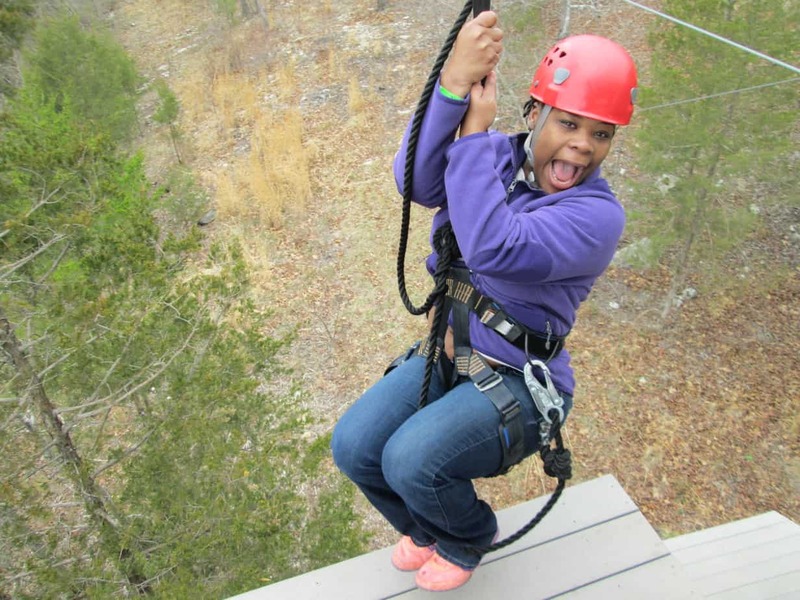 Wow-It’s a powerful feeling to brave up & do something that scares you. I did it last year riding The Batman coster backwards. My kids & Dug zip lined 2x in Vail this past summer and LOVED it. This looks like a blast! I’m glad you had so much fun. It was a lot of fun Andrea! 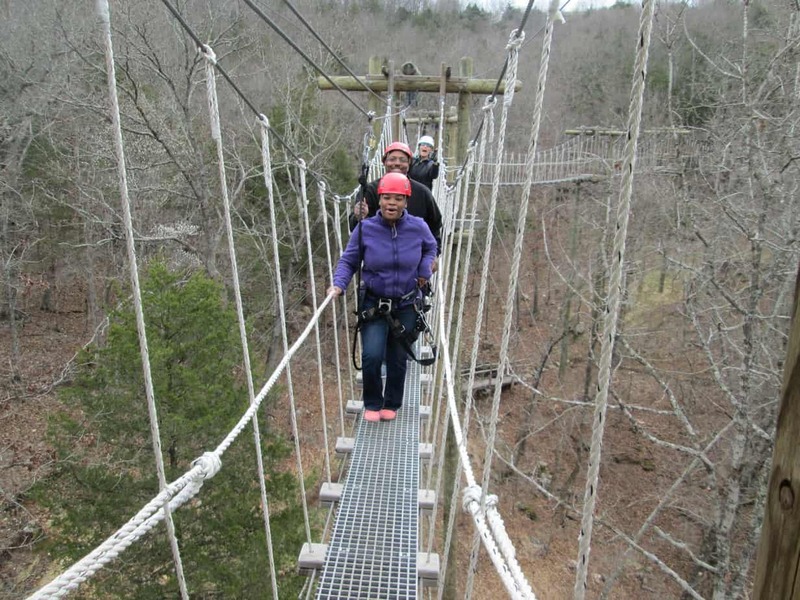 I was even able to get over my fear of heights for a bit of time! This was so much fun! I loved it so much I went back a second day. 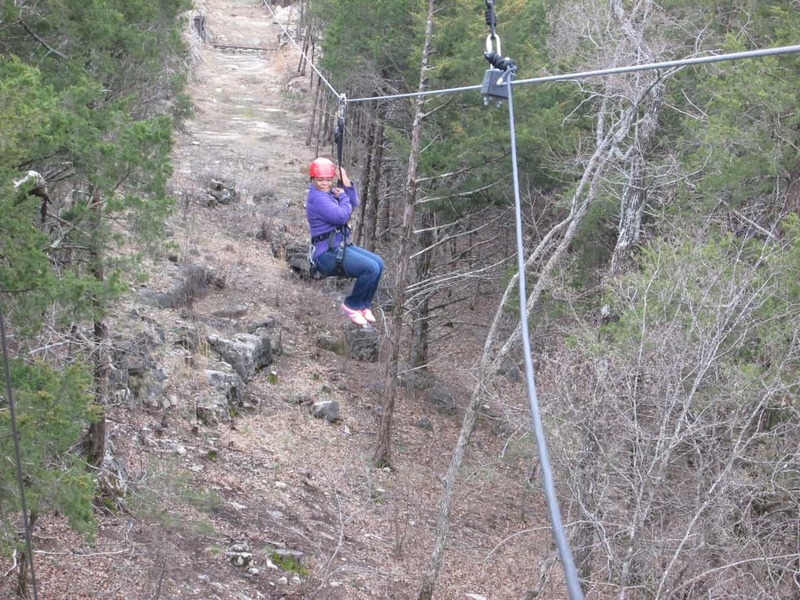 I highly recommend it to anyone headed to Branson! I could have taken a second day – of course without the Blue Streak! LOL! Donna Hup liked this on Facebook. You were such a warrior and did an awesome job!